On the eve of her 80th birthday, theater legend Barbara Cook will perform a full concert Monday in Fort Lauderdale. But Cook won't sing her first big hit, from Leonard Bernstein's Candide in 1956. ''I haven't been singing Glitter and Be Gay since my voice became lower,'' she said, laughing. Instead, the Broadway star will glitter and her chorus will be gay. 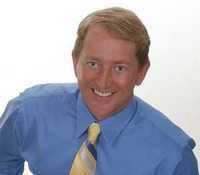 Cook will be joined onstage at the Broward Center for the Performing Arts with the Fort Lauderdale Gay Men's Chorus. ''They're good. They're bloody good,'' Cook said. ``I've sung with the Gay Men's Chorus in San Francisco and New York. The concerts are good, it's fun and wonderful music. And my son is gay, so I feel right at home. Cook's son is Adam LeGrant, 47, who teaches accent reduction in Los Angeles. ''There are a lot of people who are foreign born who want to have better American accents,'' she said. Cook was born Oct. 25, 1927, in Atlanta. She sang as a child and made her Broadway debut in a 1951 musical, Flahooley. Then came a few more shows including a revival of Carousel and Candide. Stardom came in 1957, when Cook played opposite Robert Preston in The Music Man. Playing Marion the Librarian earned Cook a 1958 Tony Award as Best Featured Actress in a Musical. Further successes came in New York revivals of Show Boat and The King & I. She divorced actor David LeGrant, her husband of 13 years, in 1965. Then her career tail-spinned: Broadway abandoned Cook after her weight ballooned from 106 to 250 pounds. Pre-Hairspray producers just weren't eager for a chubby ingénue. Cook carved a new niche as a cabaret singer, making a major theatrical comeback in a 1975 Carnegie Hall concert. ''I'm just plodding on,'' said Cook, whose most recent album of show music, No One is Alone, came out earlier this year. Cook is scheduled to arrive in South Florida on Saturday and rehearse with the gay men's chorus Sunday. ''We've done our own show,'' said chorus director Todd Wiley, pictured. Cook's performances with the chorus will bookend a full solo concert by the star. The evening will open with selections from The Music Man and close with a song from Candide. After the show, Cook is off to Los Angeles where she will celebrate her birthday Thursday with her son. 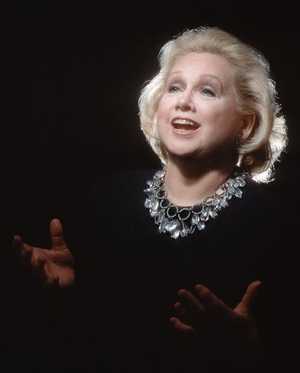 What: Barbara Cook in concert with the Fort Lauderdale Gay Men's Chorus. When: 8 p.m. Monday, Oct. 22. Cost: $20 to $55. VIP tickets are $150 and include a post-show reception. Barbara Cook portrait by Mike Martin.